The tourist office in Jumilla is centrally located, with parking alongside the office and holds a wide range of information about visiting the municipality and its wine bodegas, together with maps. The tourist office in the centre of Jumilla is easily found by driving straight into the centre of the town along the Avenida de Murcia and following the signposts. 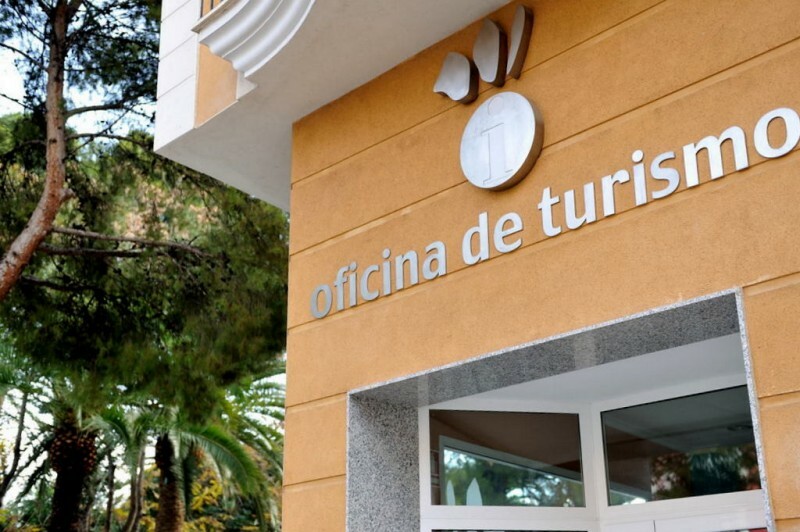 The tourist office is alongside the Parque de Don Albano Martínez Molina, where there are a number of parking spaces. Jumilla, in the north of the Region of Murcia, has become internationally famous over recent decades due to the quality of the wines produced in the municipality, and wine tourism has begun to attract visitors from other parts of Spain and the rest of Europe. 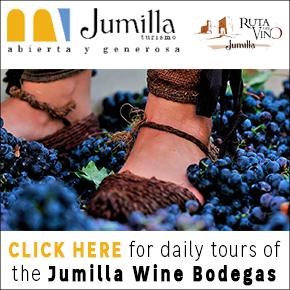 However, the town and the surrounding countryside have plenty of other attractions for visitors, and the popularity of Jumilla wines is leading more and more people to discover other facets of the tenth largest municipality in Spain. These include the spectacular countryside and birdlife in the Sierra del Carche, the historic remains which range from cave paintings and a Roman mausoleum to the castle, the Iglesia de Santiago, the Town Hall and the Teatro Vico, and the gastronomy: rich stews are accompanied not only by the wines of the area but also by Jumilla pears, which also enjoy Denomination of Origin status. Tourism in Jumilla is not as seasonal as it is in the coastal areas of the Region of Murcia, but the town is at its liveliest during the fiestas in Holy Week and the August Fair, which incorporates the grape harvest celebrations and the Moors and Christians parades. The Altiplano of the Region of Murcia, which consists of the municipalities of Jumilla and Yecla, is only just over an hour by car from the Mar Menor, Cartagena, Mazarrón, Torrevieja and Alicante, and anyone wishing to visit real inland Spain and world-class wineries is advised to include Jumilla in their schedule. Tuesday to Friday from 9am to 2pm and 5pm to 7pm. Saturday and Sunday 10am to 2pm.